Project Description: This was an option for my bachelor project that I received from Vilhelm Lauritzen Architects, that I began to develop. 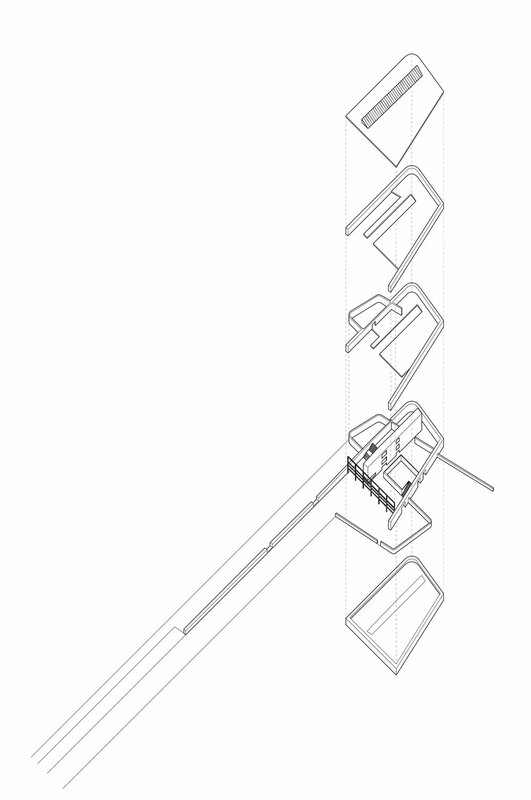 I ultimately decided to switch projects, after studying the building through several axonometric drawings. The building itself was meant to function as a headquarters space for Egernsund Tegl, with space to showcase their products, as well as an office and canteen.